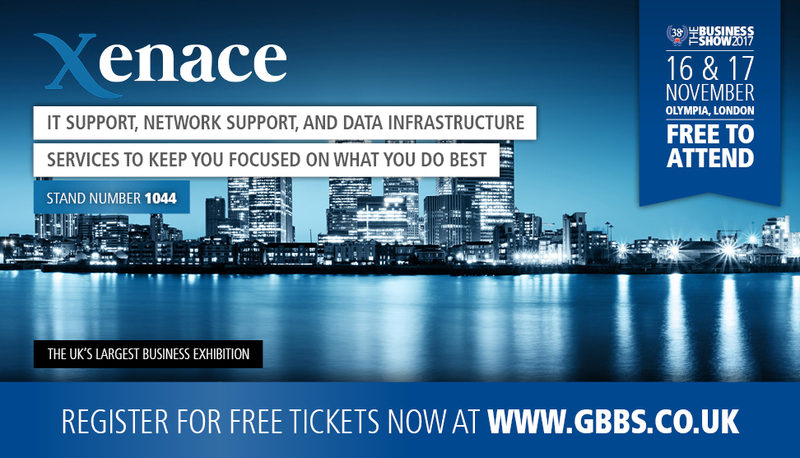 Xenace is excited to announce that we will be exhibiting and speaking at The Business Show on November 16 and 17 2017. The UK's largest business exhibition will be held at London’s Olympia this year and will be an unmissable event for anyone starting or growing a business. Now in its 18th year, The 38th Business Show is set to be bigger than ever and will see around 25,000 businesses pack out the convention centre. With a selection of innovative suppliers, a world class line-up of expert-led educational seminars and engaging master classes to help transform businesses of all sizes - this event will showcase why London is the real business capital of the world. Whether a business owner wants advice on marketing, guidance on entrepreneurship, networking opportunities or is looking to expand overseas, The Business Show has a variety of activities for aspiring entrepreneurs and business owners of all kinds. We'll be specifically talking to show visitors about how managed IT support and services can help grow new and small businesses. The show's keynote lineup includes Pure Gym founder, Peter Roberts; the latest Dragon in the Den, Jenny Campbell; fashion retail guru and Dragons' Den star, Touker Suleyman; chairman of Crystal Palace FC, Steve Parish; and many other industry leaders across the two keynote theatres. With 350 exhibitors, 250 seminars, 170 interactive master class sessions, opportunities for networking and funding and much more under one roof – The 38th Business Show will provide you with everything needed to rapidly expand your business. You will walk away with more new contacts, knowledge and ideas than you could have ever dreamt possible. Come and see us by registering for your free tickets now!